Visual storytelling is a compelling way to share the heart of your company with current and potential customers. 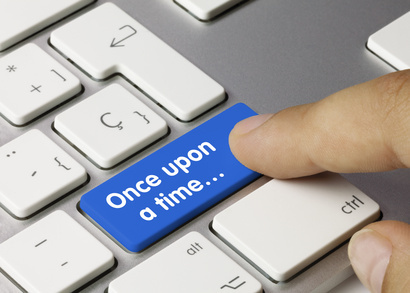 Every company has a story to tell beyond the products they sell and services they provide. Visual storytelling allows you to tap into the unclaimed potential of your company, product or service to build relationships and gain market share. Ask yourself: What makes your company uniquely you? What differentiates you from your competitors? OK, so you know why you’re special. But do your customers understand this concept as well as you do? If not, maybe you’re telling the wrong story—or telling the right story using the wrong media. So who are the interesting characters that make up your brand? It’s not always the CEO or CFO who make the best storytellers. Look around you. Don’t overlook the cashier at the store who’s made friends with all his customers. Or the employee working to put herself through college and be the first member of her family with a college degree. What about the bellman at the hotel, or the night shift worker at the warehouse. How do they complete the story? Get to know the hands and feet of your company and you’ll find stories your customers want to hear. Get to know your customers and you may find more than just a testimonial. Who knows where a good customer story can drive your business? No matter the nature of the story, profiles put a face—and heart—to your company and make a connection with your customers. We’ve been talking about heart. But what about the soul of your company? What about the values that guide it? Values often get lost on company websites and in staff manuals, yet they can be a differentiating factor that forms a personal connection and lasting relationship with your customer. But remember—if you use video storytelling to describe your values, you’d better stick to them when push comes to shove! Your customers want to understand what makes your company tick. They want to know what’s “under the hood.” Video is the perfect way to show the inner workings of your organization or company. So invite them in! Show how your company makes its top-selling candy product. Let them experience the behind-the-scenes frenzy of introducing your new product—the one they’re going to love when they try it! Video is a great way to explain hard-to-understand products and service. It’s easier to show than to tell. Many people are visual learners, which means the complex concepts will click once they’re put into motion. Take it one step further! Encourage customers to submit their own videos for consideration showing them using your product or service. By making the customer part of the story, you create personal connections that can grow into lifetime, loyal relationships. The potential opportunities you have for telling your story through video are almost limitless. No matter what approach you choose, visual storytelling can rev up your marketing with a high-octane impact. Your messages are more likely to connect with the audience, giving your company a face and a personality and building a relationship. When that happens, you’ll leave your competitors sitting at the starting line. Remember the compelling story we talked about earlier? Check out our next blog to learn more about great customer stories. Kristin A. Pelletier is an award-winning writer and executive producer with more than 20-years of experience in script-to-air television production and is the president of Blue Truck Media, Inc. Blue Truck specializes in the writing and creative development of original screenplays, television programming and books, and offers customized marketing and video production services to corporations, worldwide. Categories: Uncategorized | Tags: blue truck productions, blue truck tv, Florida, Fort Lauderdale, how to produce a video, kristin pelletier, Miami, New York, Producer, USA, Video production, Video Production Companies, Visual Storytelling, Writer | Permalink. 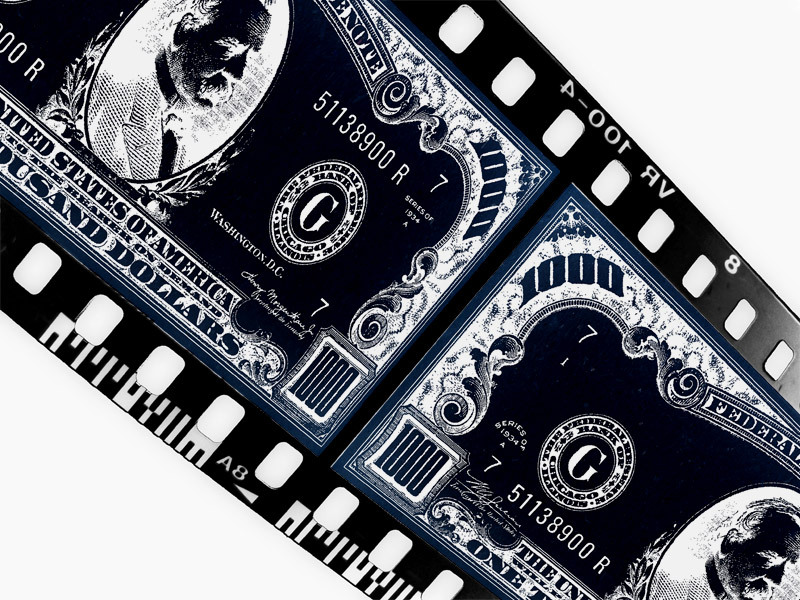 Video Production Budget (Part 2): Get the biggest bang for your production buck. You’ve decided that a product video is exactly what your company needs. You’ve found the right independent production company to help with the project. Now what? If budget is a concern—and when isn’t it?— there are ways to lower your overall costs and get the most bang for your production bucks. Rule No. 1 (there’s not a Rule No. 2, but this is important—pay attention): No matter who you hire to write and produce your content—and even if you self-produce your programming—don’t try to save money by “under producing.” This is a case where more is definitely better! In corporate production, while it may seem counterintuitive, producing more can actually cost less. I always recommend to my clients producing (or at least filming) with more than one end product in mind. It is simply more efficient in the long run. When a customer comes to me with a video project in mind, I always consider what other content might be useful. Not because I want to sell the client more production. I want to add value. “Added value” and “lean production” are business philosophies that were engrained in me as a young producer working for an independent a business television network. One of my mentors instilled this idea in all his producers. He even wrote a handbook: The Lean Production Handbook, a guideline which outlined the most cost-effective ways to produce quality content and add value to every shoot. Among the time and money saving tips, we were encouraged to collect “bonus footage,” shoot “evergreen stock” and think of ways to “repurpose content.” These philosophies help me bring added value to the clients I serve today. As a production manager and content developer, one of the first things I suggest to clients is to create a “programming wish list.” We brainstorm a list of all the video programming that would possibly be needed or benefit the company over the next one to two years. We consider content for marketing, sales, training and human resources. We note milestones, new product development and anniversaries so that we can take advantage of key marketing opportunities. We discuss any inefficiency or pain the organization may be experiencing. Often we discover video solutions that can solve key issues, save valuable time or impart meaningful content. In fact, some content can even provide a level of protection from potential lawsuits (a topic for another time.) Once we have the “wish list,” we prioritize the content, noting which videos will bring the most value to the organization. Taking note of the big picture allows us to maximize production and to be forward thinking in planning and filming so we acquire footage not only for content at hand but also footage that may be relevant in future programming. By carefully planning production, we are able to acquire bonus footage and clients are able to amortize their production budget over several video products. Maybe most important, we get ahead of the distribution game by developing a pipeline of content that can be edited and disseminated over time across various distribution channels. This approach saves corporations time and money and helps position them ahead of the competition. Besides looking at video assets simply as video assets, I encourage clients to consider the other ways these assets can be used. For example, still shots captured from video can be used on social media channels and in print materials. Transcripts of interviews may appear in magazine articles and newsletters. Customer sound bytes could be included in radio commercials or appear as written testimonials in collateral materials. In this way, video production becomes even more cost-effective because the content serves multiple purposes. Keep this “Lean Production” philosophy top of mind as you contemplate video content. Big-picture planning and repurposing video assets helps corporations stretch their marketing dollars and get the biggest bang for their production buck. Categories: Uncategorized, Video Production | Tags: blue truck productions, content development, cost effective video production, how to create a video, Kristin A. Pelletier, video budget, video marketing, Video production, Video Production Cost | Permalink. 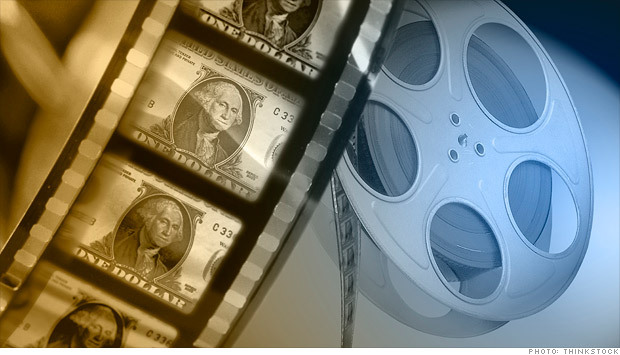 There is a plethora of research touting the benefits, value and trend toward video marketing. Marketers are churning out online video content at an unprecedented rate. According to EMarketer, online video was the fastest growing ad format in 2012 with a nearly 55 percent growth rate1. Still, some marketers are struggling to develop quality video content, stating time and cost as the most common barriers. It is true that writing, shooting and editing quality video programming requires a lot of time, but the effort pays off. According to MediaPost, 57 percent of consumers say that product videos make them more confident in a purchase and less likely to return an item2. So producing video content can be time and money well spent. But here’s the caveat: Be mindful of how you approach production–or you risk wasting both. In effort to save money, companies often attempt to take production into their own hands, only to be frustrated with the results, or—more likely—lack of results. Unless there is a dedicated, in-house production team or at least a project manager with production expertise, the clock may tick ever so slowly and often the end product suffers. The good news is there’s an easy solution that will get your project done in a timely manner. Hire a professional. Production is truly an area where outsourcing to an expert pays dividends. Besides freeing you up to conquer other tasks, hiring an outside contractor provides a fresh perspective and an objective eye on your products and services. As an independent producer with full-service production capabilities, I travel all over the world to help corporations produce broadcast-quality programming, often becoming an integral part of their marketing team. I have worked with some clients for well over a decade. Why? My clients say they enjoy working with our team because they can trust us to work in autonomy to delivery a turn-key product on time and within budget. They’ve discovered through trial and error that they really can’t achieve the same quality results faster, better or cheaper on their own (or through their agency of record, which typically outsources production and marks it up at cost plus a hefty agency charge). So what’s the best approach to procure a high-quality, well-produced, cost-effective production with added value? A good way to start is by talking to an independent producer – whether it’s me or someone else – about your needs, budget and timeline. An independent producer, can help you determine your production needs, then work with you to meet your budget and timeline—delivering a high-quality finished product for your company. And with careful planning, can help you save on future project costs—bringing added value to your company. With a pipeline of fresh video content, your company’s investment in production will pay dividends to your bottom line. Kristin A. Pelletier is an award-winning writer and executive producer with more then 20-years of experience in script-to-air television production and is the president of Blue Truck Media, Inc. Blue Truck specializes in the writing and creative development of original screenplays, television programming and books, and offers customized marketing and video production services to corporations, worldwide. Categories: Video Production | Tags: blue truck productions, how to create video content, Kristin A. Pelletier, video marketing, Video production, Video Production Cost | Permalink. Video continues to gain favor in the business landscape for its ability to effectively deliver messaging to key audiences. This is especially true as research develops surrounding search engine optimization (SEO) and the importance of a strong digital presence in the marketplace. In brief, SEO relates to your company’s presence on Google and other search engine sites when someone searches keywords that relate to your business. So, for example, if you are a plumber in Fort Lauderdale, you want to be one of the top results when someone searches “Fort Lauderdale Plumbers” or “clogged drain help Miami” (just throwing those out there for the purpose of the example). Search engines are today’s yellow pages. Most people thumb through Google and other sites to get guidance on where to eat dinner or who to call when they need a handyman. So, how does video drive traffic to your site? To paint the picture of how video provides a leg up in the race for search engine positioning, lets drop some statistics thanks to Brainshark’s 2013 article, “6 Cool Stats about Video SEO (and What They Mean to You). 2” First of all, Google owns YouTube and, consequently, “62% of Google universal searches include video2” (80% from YouTube). In addition, “video is 50 times more likely to get organic page ranks in Google than plain text results2” for two key reasons: people prefer video over text and videos are less prominent than written content. Therefore, video provides potential to climb page ranks due to a less is more scenario combined with user preference towards visual delivery of content. Now, let’s take it a step further – as more people find and watch your video, the likelihood that your video will appear high in search rankings above other videos improves. How does that happen? Sharing. Shareable content is a major driver for video’s effectiveness for search engine optimization. 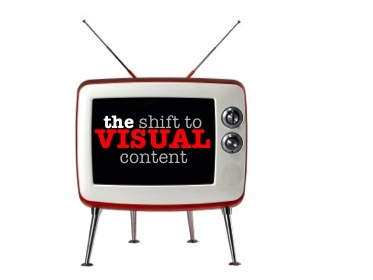 The term ‘shareable’ is self-explanatory – give people visual content they want to redistribute. While we previously established video is naturally preferred over written content, you still must create something that they deem worthy for the eyes of friends and family. Especially when someone publicly shares a link via social media, such as retweeting on Twitter or sharing on Facebook, they are putting their name and therefore their reputation and judgment behind the content. Best of all, it doesn’t have to be complicated or expensive. Check out this simple and affordable animation style video, which is quick and effective in getting the message across. Take it from expert opinions or statistics, but it is very apparent that companies who utilize video in delivering their messages are capitalizing on a huge potential in the digital marketplace. Could video be the factor that takes your company to the next level? Blue Truck Productions offers broadcast-quality programming design and production. We specialize in developing original content for corporations for use in marketing and social media. For more information visit www.bluetruck.tv. Categories: Video Production | Tags: Blue Truck Media, blue truck productions, blue truck tv, how to write a marketing video, kristin pelletier, seo, using video to boost SEO, video in social media, Video production, Video Production Companies, Video Production Industry | Permalink. Blue Truck Productions can help your business harness the power of video in Social Media. It is no surprise that social media is redefining the business landscape, breaking rules and forcing marketers to up their game. It seems that every day there is a new medium, some just reinventions of others, but nonetheless, social media is where customers spend their time, so businesses must spend their employee’s time and resources there, too, to be relevant in the marketplace. Not sold on the viability of social media to promote brands? 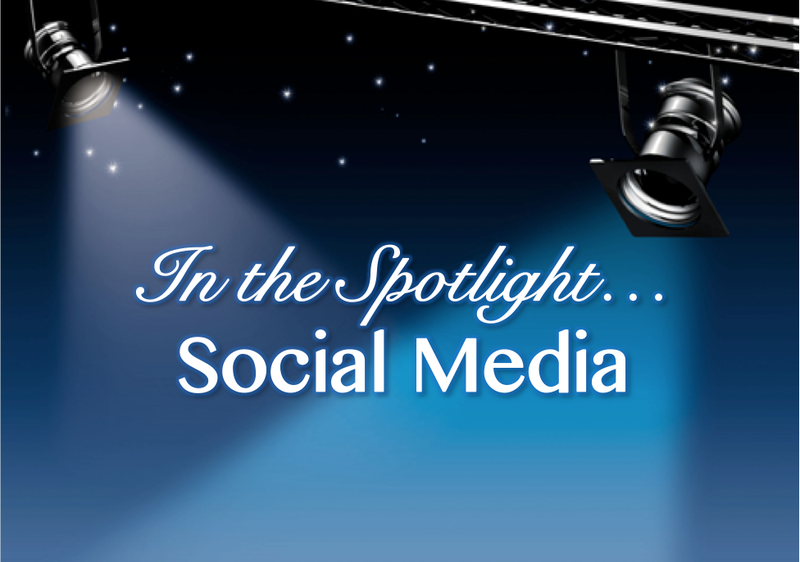 Digital Buzz Blog’s November 2013 article about social media use in 2013 may open your eyes to just how big of an opportunity you are missing if you don’t partake in social. For example, Facebook has more than 1.15 billion total users. Of those users, 23% of users visit Facebook more than five times each day. For Twitter, there are more than 500 million users and more than 400 million tweets are posted per day. When it comes to Instagram, a channel that relies on photo and video, this channel features more than 130 million users. Of those 130 million plus users, on average, each will have 40 photos. Instagram fields more than 1,000 comments per second on its users photos and videos. I could expound for the length of the article on the weight of these statistics – but I think you can draw conclusions on your own. Amidst the expanse of channels, those that are most successful thrive because of one shared key element – visual content. Channels such as Instagram, YouTube and Pinterest, which were created purely to amplify this element, are now being pressured by existing channels such as Facebook and Twitter, who are stepping up their visual content. While it may have flown under your radar, Facebook and Twitter redesigned their sites to include photos and videos placed more prominently on pages. New channels, such as Vine, emerged on the social media scene, making it easy for amateur videographers to use their iPhones to create six-second videos. The digital landscape is evolving to ride the wave of visual content. Social Media Today’s article from March 2013, “The Importance of Video in Social Media” provides statistics regarding online video. For example, in September 2012, 85% of Internet users in the United States viewed some form of video content online. In 2013, the article estimated “by 2014, online video could account for 50% of all internet traffic. 2” It also noted that as of March 2013, video was considered the sixth most popular content marketing tactic2. Knowing how many people use social media and “50% of social media users are likely to view a video posted by a brand they follow, 2” are you missing out on a lucrative opportunity to connect with your customers? Photos and videos drive clicks and viewership, without them companies lose market share and deem themselves irrelevant. So what does that mean for business? Whether you are a large company or a small family startup, everyone has equal access to social media channels. While the budgets for sponsored posts (advertising) and personnel devoted to servicing profiles may be different, everyone has an equal chance of posting engaging content that catches the attention of potential clients. So you know that you need photos and videos, but not just anything snapped with a smart phone will do. Content must be intentionally created to spark the attention of customers. This starts with knowing your customers, but that concept really deserves its own post. For now, let’s say that when you know your various audiences and what they are looking for in your products or services, you are able to better service them in the content you publish to social media (also, when you know your customer, you know which social media channels they prefer to use over others, so you don’t waste your time and content). Shareable content is another important aspect of videos in social media. Social Media Today’s article also provides tips for engaging videos. They identify the importance of short videos, two minutes or less, that are easily sharable, meaning that your immediate influence will multiply every time a viewer deems the content worthy to be posted to their personal pages. The content should “be genuine” – draw the viewer in and let the “brand identity” shine2. The article also calls attention to the importance of story telling to make your brand relatable, be clear about the purpose of your video and finish with a strong call to action2. Do not be afraid about the future of your company if you aren’t a video-curating genius, there are plenty of resources to help you create sharable content. Do not let the fear of the new and unknown keep you from maximizing your potential to attract and maintain a healthy customer base. 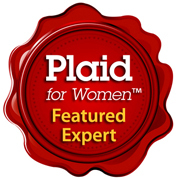 Written by Chelsea Watts, PR Specialist and Staff Writer for Blue Truck Productions. Categories: Uncategorized, Video Production | Tags: blue truck productions, seo, Uncategorized, video in social media, video marketing, Video production, Video Production - How To, Video Production Industry | Permalink.